Seattle should seek a better deal from developers under the dubious “grand bargain” for affordability. The program isn’t performing as expected, yet Seattle is trying to push it into neighborhoods. There’s one fairly simple move Seattle could make to provide more affordable housing without burdening average residents, but it requires elected officials to show more spine. 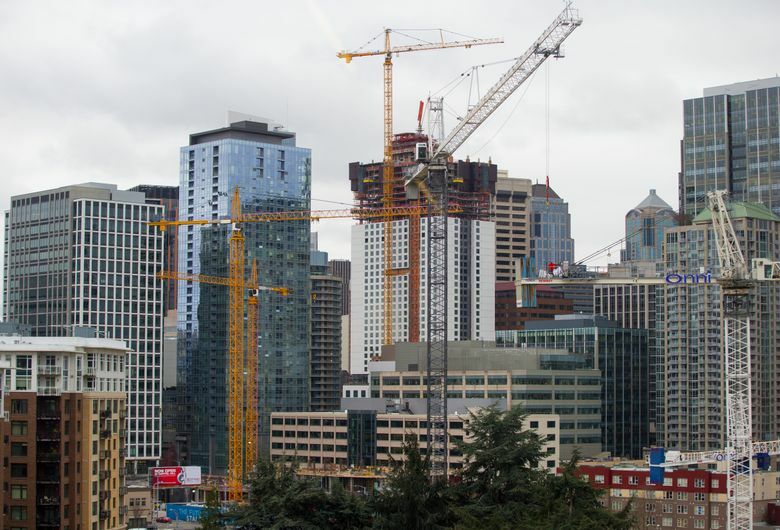 Seattle should increase affordable-housing requirements placed on developers. For developers who opt to pay fees instead of provide affordable units, the city should increase the fees. Hundreds of cities now require developers to include or fund affordable housing, a planning approach known as inclusionary zoning or mandatory housing affordability (MHA). But Seattle stands out among large, prosperous cities for being exceedingly generous to developers, requiring much less affordable housing than Boston, San Francisco and New York. Because Seattle was generous to developers and dawdled after proposing MHA in 2015, the program has produced minimal affordable units, despite record-breaking construction activity. Last year, Seattle permitted $5.2 billion worth of construction projects including 8,756 new housing units. Yet its MHA program last year only created 19 affordable units and collected fees of $101,805.14 from developers who opted to contribute to the city’s housing fund rather than provide affordable units in their buildings. That’s a negligible amount of affordable housing — well below projections of 600 affordable units per year that were used to justify the policy and giving bonuses to developers. Residents, meanwhile, pay a steep price. Under the “grand bargain” negotiated by former Mayor Ed Murray and approved by the City Council, the city agreed to extensive upzones and code changes to make MHA more palatable to developers. Murray said the deal prevented a lawsuit over MHA. But in other situations where litigation was threatened, the city refused to cave, such as its 2017 vote for an income tax on the rich. MHA adds teeth to an earlier program that let developers voluntarily provide affordable housing, in return for bonuses such as extra floors. That “incentive” program generated 58 affordable units and $32.7 million for the housing fund last year. After bureaucratic overhead takes up to 10 percent, the fees will hypothetically create another 369 affordable units, according to the city. MHA made it mandatory to include or fund affordable units, starting with the University District in February 2017. In April 2017 it came to South Lake Union and downtown, where about half the construction is happening. There, height limits increased up to 50 feet. In return, developers must make 2 to 11 percent of their units affordable or pay one-time fees of $5.50 to $17.50 per foot. Those fees could be covered with a few months of rent collected in Seattle, where annual office rents last year averaged $41.16 per foot. In New York — where ultradense growth did little to reduce housing costs — the city created a similar program. But it reevaluated its formula in 2016, increasing the required percentage of affordable units and closing loopholes. New apartments in New York must now make 20 to 30 percent of units affordable to residents with below-average incomes. Developers can provide affordable housing elsewhere but then must provide more units, equal to 25 to 35 percent of the main project. In San Francisco, a 2016 ballot measure doubled its affordability set-aside requirements from 12 percent to 25 percent for apartments with 25 or more units, though the city adjusted it to 18 percent last year. These are controversial programs. They push limits of what government can force property owners to do with their land. But since Seattle went there, it should make the program work well and ensure the bargain is fair to everyone. As it stands, residents fare the worst. The bargain results in bigger, taller buildings that cast more shadows, block more views and provide less open space. So current and future residents get reduced quality of life. Even if one makes the disheartening argument that livability is a price that must be paid for affordability, it’s undercut because few affordable units are being created. Overall, it’s making Seattle less pleasant and no more affordable. How is the city responding, now that MHA data is trickling in? Instead of seeking a better deal from big developers, City Hall is pushing the program beyond urban centers and into neighborhoods. Mayor Jenny Durkan’s administration is proposing MHA fees for projects as small as backyard cottages, which could incur fees up to $13,000 apiece. David Rusk, a former Albuquerque mayor advocating nationally for inclusionary zoning, said the approach doesn’t work as well on projects smaller than 10 units. Rusk said there are many variables, but Seattle’s MHA requirements on large projects appear significantly lower than what cities generally require. Steve Walker, director of Seattle’s housing office, agreed that developer requirements are relatively low. Why? “That’s a little bit of the politics of what was negotiated when the deal was cut,” he said. No surprise there. Despite progressive pronouncements about taxing the rich, City Hall also declines to collect impact fees from developers to fund parks, schools, roads and other infrastructure burdened by growth their projects bring. Instead, Seattle leans on renters and its mostly middle-class homeowners to fund them with levies. As for MHA’s low unit production, Walker said it’s taken time to implement. Many projects built during the recent boom, and others in the pipeline, are exempt because they vested before MHA finally took effect in early 2017. So Seattle largely missed its chance to require developers profiting from the Amazon land rush to provide affordable housing with MHA. Taxpayers with less political pull are picking up more of the tab via the city’s housing levy, which is supplemented by tax breaks and other housing-developer subsidies. Despite weak MHA results, the noble cause of affordability is being used to justify further upzones and weakening of land-use rules, potentially benefiting professional real-estate investors more than those needing low-cost housing. A massive MHA expansion plan now proposed would increase density about 36 percent through much of the city’s residential area. In return, developers would have to make 5 to 11 percent of new units affordable, or pay fees of $7 to $32.75 per foot, depending on location. Its environmental review is being challenged by around 30 neighborhood, small-business and tree-protection groups. Seattle should get a better deal from big developers before sticking it to neighborhoods. The public also needs more information about how much affordable housing is being produced, with and without MHA, before this dubious grand bargain is extended across the city.